Measuring food loss, identifying where in the food system it occurs, and developing effective policies along every stage of the value chain are essential first steps in addressing the problem of food loss and waste in developing countries. Food loss has been defined in many ways, and disagreement remains regarding proper terminology and measurement methodology. Although the terms “post-harvest loss,” “food loss,” “food waste,” and “food loss and waste” are frequently used interchangeably, they do not refer consistently to the same aspects of the problem. In addition, none of these classifications includes pre-harvest losses. Consequently, and despite the presumed importance of food loss, figures regarding food loss remain highly inconsistent, precise causes of food loss remain undetected, and success stories of decreasing food loss remain few. The authors develop and test three new methodologies that aim to reduce measurement error and allow to assess the magnitude of food loss. The methods account for loss from pre-harvest to product distribution and include both quantity loss and quality deterioration. The authors apply the instrument to producers, middlemen, and processors in seven staple food value chains in five developing countries (Ecuador, Ethiopia, Guatemala, Honduras, and Peru). Comparative results suggest that losses are highest at the producer level and that most product deterioration occurs prior to harvest. Self-reported measures, which have been frequently used in the literature, seem to consistently underestimate food loss. Loss figures across all value chains fluctuate between 6 and 25 percent of total production and of the total produced value. Loss figures are consistently largest at the producer level and smallest at the middleman level. Across the different estimation methodologies, losses at the producer level represent between 60 and 80 percent of the total value chain losses, while the average loss at the middleman and processor levels lies around 7 and 19 percent, respectively. Addressing food loss across the value chain first requires a common understanding of the concept by all actors, as well as a collaborative effort to collect better micro-data across different commodities and contexts, stress the authors. 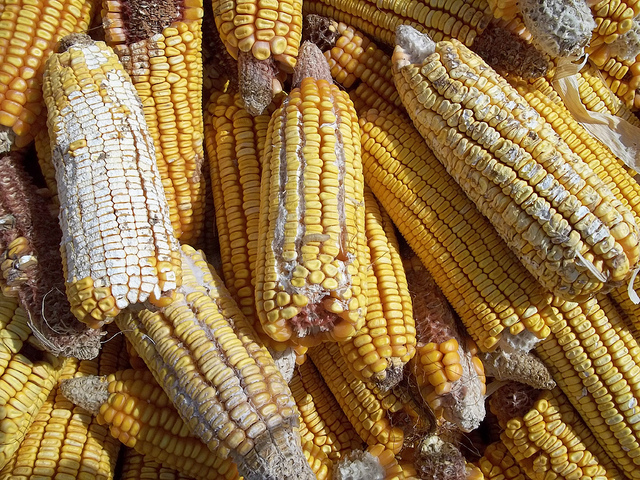 The presence of pests, lack of rainfall, and lack of appropriate post-harvest technologies seem to be the major factors behind the losses identified in the study. A lack of appropriate storage facilities and efficient transport systems are also considered to be important micro-causes of food loss; however, other causes, ranging from crop variety choices, pre-harvest pests, and processing and retail decisions, are also important. This work was undertaken as part of the CGIAR Research Program on Policies, Institutions, and Markets, which is led by IFPRI and funded by the CGIAR Fund Donors. Authors are thankful to Francisco Olivet for his incredible support on the implementation of the surveys in Guatemala and Honduras as well as to the Teams of the CIP and ICARDA for their support in Peru, Ecuador, and Ethiopia.